The Canadian flag flying in the breeze tells you this one is for Annie and Kaleb! It was just for the fun of it! 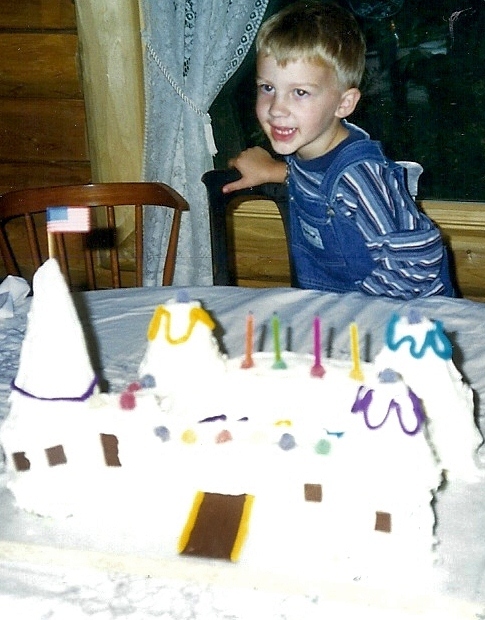 The castle with the US flag was for Max’s fourth birthday! They came all the way from Alabama to visit us. Max deserved a castle cake! 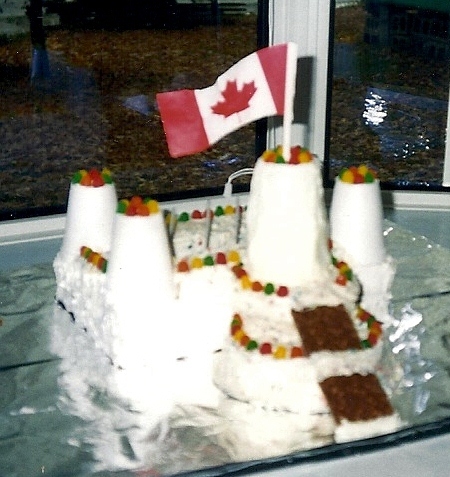 This entry was posted in Birthday, Cakes, Castle, Family, Grandchildren, Projects and tagged Castle. Bookmark the permalink.